Discussion in 'Sword Discussion' started by The Government, Jul 20, 2015. Here is my single-handed sword. 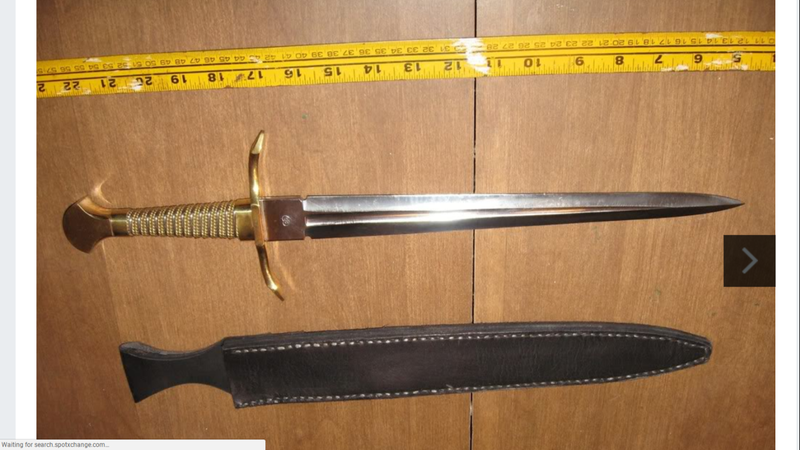 This sword was made by Japanese KATANA swordsmith. Handle and steel crossguard, brass pommel was made by me. Straight sword is very rare, in Japan. running bird and Mecha like this. Necro bump to look at swords and stuff. One of my recent folly buys was one of the JP Hrisoulas daggers. He moved! Nyckname and Mecha like this. 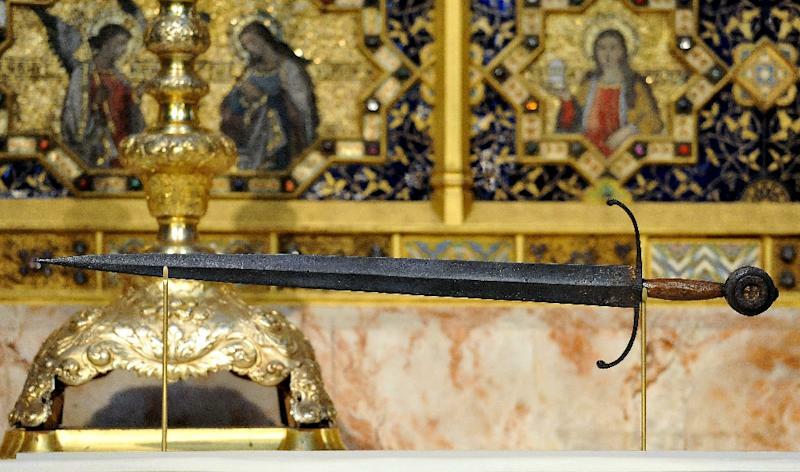 Sword of Henry V, though to have been wielded at Agincourt. The Zieg, SpySmasher and Mecha like this. Customer: make me a sword that's convenient to carry, but if it fails it's really gonna wreck my day. Blacksmith: Say no more, fam. Honestly, that is really cool. I bet it opens with a satisfying thwack. Somewhere, I have one of those super cheap garbage folding Bowies of similar design I bought at a flea market 30 years ago. The concept is interesting. I'd love to mess around with one. The Zieg, Bigfattyt, Mecha and 1 other person like this. Agreed, that thing is super cool. fonedork and Mecha like this. Some of my early 1840s-1850s cruciform US militia swords. Ames, Horstmann and an ACW period Philly funky spiral grip JP Justice example. I want this sword. Actually, I want a day or twelve just hanging out at that museum. The Zieg and WValtakis like this. The 12 months of Christmas? I dunno, it might take 12 months to post of my experiences, both in collecting but also in the trenches on the street as a young man. Here another few glamour shots. The third sword from the far right... I have two of those - had them for over 30 years now. No scabbards. I was never able to find any info on them. A antique weapons guy I showed them to thought they might be ceremonial Knights of Columbus. Can you tell me the story on the one you have?